USANA, word! : RESET: Countdown to commitment! Ready to commit to better health? 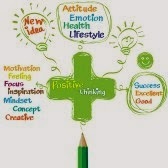 Thinking positively about something really might make it happen, psychologists say. So, if you’re thinking about committing to the RESET™ Challenge, read on! Anticipating something that you want appears to gear up circuits in the brain, which if you encourage by keeping your goals at the top of your consciousness, can help you achieve your intentions. Psychologists Maryanne Garry and Robert Michael from New Zealand’s Victoria University worked with Harvard University’s Irving Kirsch to determine the effects of positive thinking. Pooling their research and knowledge, they found that anticipating something positive can be as powerful as the power of suggestion established by a skilled hypnotist. It can't do the work for you, but the effects of suggestion are extremely powerful – they really can change behaviours and even outcomes. ‘If we can harness the power of suggestion, we can improve people’s lives,’ ends Dr Garry. So, are you ready to anticipate something good? 1. Think about it. Are you making a change because you want to achieve it for yourself? Or are you making the change because others think you should do it? If you want better health for yourself, a more positive outlook and success that lasts, your changes have to come from you – not from someone else. After all, you’re the one that has to make the changes and you have to be accountable to you. So, if you’re thinking about changes because someone wants you to make them, you’re less likely to succeed. A positive outlook and the kind of determination to change that comes from you and is set by you, for you, will help you succeed. 2. Decide what you want to improve. It doesn’t have to be about your weight – you might want to detox your body for a few days. Or take up regular exercise. Or eat more low Glycaemic Index (GI), high fibre foods. Or eat one extra portion of fruit or veggies daily. Or, cut out alcohol and/or cigarettes. Or, you may have more than one goal in mind. Whatever you’re aiming for, write down your goals on sticky notes and place them around your home, near your computer and in your car. Look at them regularly and think about how you’ll feel when you achieve them. 3. Make the commitment(s). If it was easy, there would be no need for this whole process. Understand that a commitment takes dedication and work. Be prepared to put in the effort – you really are worth it! 4. Break up your goals into smaller goals. If your goals are achievable, you’re more likely to stick with them and make them into lifestyle changes that last. So, if your aim is weight-loss and you want to lose 5kg, aim to lose half to one kg per week. 5. Remind yourself that there are no quick fixes. If you want results, change your mindset and constantly remind yourself why you want to change – remember those sticky notes? 6. Mark your progress. A food diary is an excellent way to chart your progress, your feelings and your success. Try taking a weekly photograph of yourself and weigh yourself just once a week. Fluctuations in weight are normal and natural so weighing yourself more often can leave you feeling low. Slow and steady is the way to go! 7. Reward yourself. Life should be about celebration so when you get to your mini goals, allow yourself to feel the satisfaction. Have a relaxing massage or a scented bath, take a short trip or get a smart new haircut. Congratulate yourself on being a step closer to a healthier new you! 8. Expect hurdles. There are going to be some ups and downs – after all, you’re only human! The most important thing is to see the bigger picture – the picture of better health. So if you fall (and you are bound to!) pick yourself up, dust yourself off and get going! You’ll only fail if you stop trying! 9. Don’t expect motivation to be high all the time. There will be days when your motivation is low – expect it! Keep the reasons that you started on this journey top of mind. And, if you need a day or two out of the program, do that too. But talk with your friends, your family and your RESET buddies. Remember why you started your journey, reappraise, revalue and let’s get going! 10. Get some help. That’s what your RESET team and we at USANA Headquarters are here to do. So if you have questions, if you want to share your feelings, celebrate success and even mark the bumps along the way, let us know. We’re committed to helping you achieve success at every stage. If you choose to join the RESET Challenge opt in via USANAtoday. Best of luck, enjoy the journey with your buddies and here’s to the best and healthiest year of your life so far!